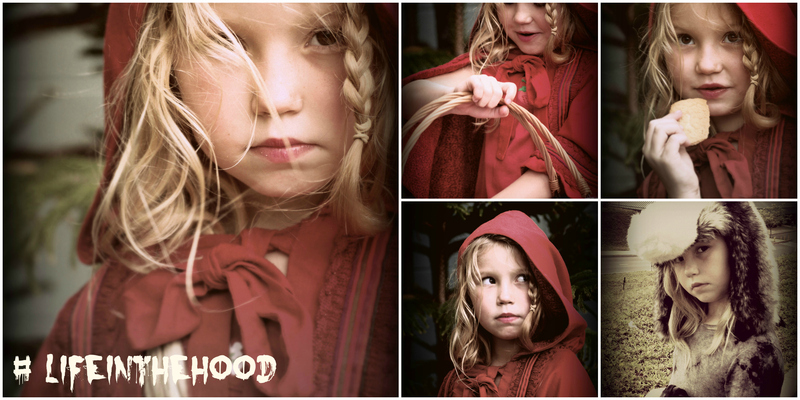 I decided to create a collage of a Little Red Riding Hood themed photo shoot I did with my daughter. Finally, I needed more cheekiness – so I threw in a hashtag, playing on the urban/ hop-hop culture connotations of “hood”. This entry was posted on February 6, 2013 by amyburvall in etmooc and tagged digital storytelling, fairy tale, photography, remix.